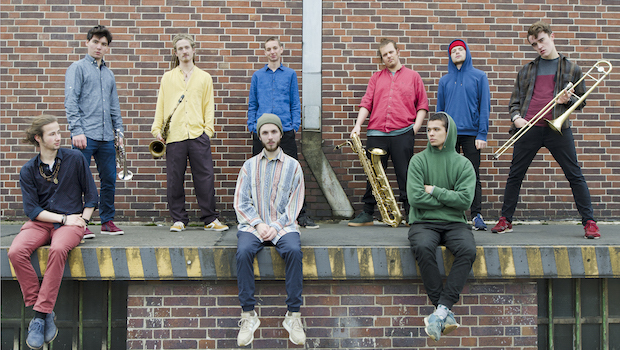 Wanubalé is a set of nine young and talented musicians from Berlin and Potsdam who take influences from modern electronic music, jazz, funk and dub, and turn them into an explosive mixture that leaves you no choice but to move! Their gigs burst with energy – no wonder with a four-headed brass section and two drummers – and live up to highest musical standards. In 2018, Wanubalé won the established German Sparda Jazz Award with jazz legend Klaus Doldinger as a member of the jury by an unanimous vote. Their debut album on Agogo Records is announced for this summer. What’s best: Wanubalé really love to play and have their own bus fully packed with the complete backline. We’re really proud those young cool guys decided to join our roster, so don’t miss out on the chance to bring them onto your stages. Please contact us for details!